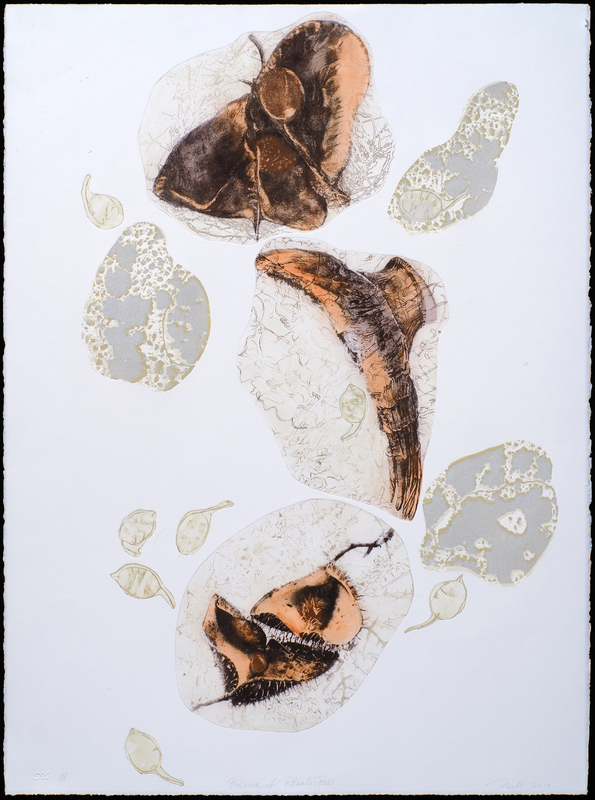 Balance of Plants, Fiber, 2013, Solar Plate Etching on BFK Rives, 30" x 22" Details of plant forms precariously balance while clouds of stones lunaria seeds and iris pods float around them. Solar plates were made from a combination of plant drawings and photos and details of stone textures. Each plate was hand colored.